Simon Gustavsson, Fei Yan, Gianluigi Catelani, Jonas Bylander, Archana Kamal, Jeffrey Birenbaum, David Hover, Danna Rosenberg, Gabriel Samach, Adam P. Sears, Steven J. Weber, Jonilyn L. Yoder, John Clarke, Andrew J. Kerman, Fumiki Yoshihara, Yasunobu Nakamura, Terry P. Orlando, William D. Oliver. Dynamical error suppression techniques are commonly used to improve coherence in quantum systems. They reduce dephasing errors by applying control pulses designed to reverse erroneous coherent evolution driven by environmental noise. However, such methods cannot correct for irreversible processes such as energy relaxation. We investigate a complementary, stochastic approach to reducing errors: instead of deterministically reversing the unwanted qubit evolution, we use control pulses to shape the noise environment dynamically. 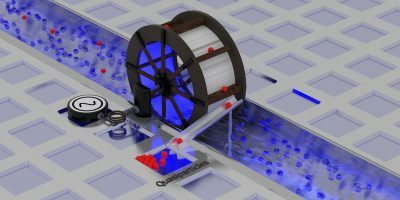 In the context of superconducting qubits, we implement a pumping sequence to reduce the number of unpaired electrons (quasiparticles) in close proximity to the device. A 70% reduction in the quasiparticle density results in a threefold enhancement in qubit relaxation times and a comparable reduction in coherence variability.